As an employee of BIG Inventory, the National Hospital Inventory Service, you may travel throughout the United States including Hawaii, Alaska and Puerto Rico. We are looking for people interested in working at the highest level of accuracy and detail in the unique healthcare environment. Most candidates have healthcare, inventory, accounting or supply chain experience. However, we will review each and every application. Hospitals today are more cost conscious than ever before. With pressure from government agencies, insurance companies and board memebers, hospitals are under incredible scrutiny. This is why they depend on BIG Inventory's Professional Hospital Inventory Services for accurate and detailed data for their supply chain decisions. At BIG Inventory, Inc., because our people are our greatest assets, we're committed to empowering our employees and we want to help them realize their full potential. With empowerment comes opportunity. Opportunities for people who are highly motivated, self-managed and relish the challenge of leadership while working within a team environment. As a leader in the hospital inventory service industry, we work with some of the world's most innovative hospital supply chain managers. 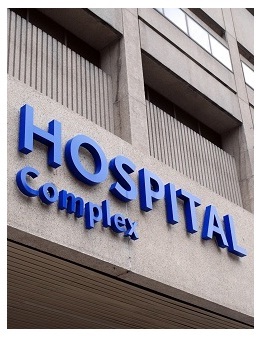 from small independent Not-For-Profit hospitals to some of the largest networks and IDNs. If this is of interest to you please click on the JOB picture below.